The Stereophonics are surely one of the Welsh nation’s most best-known contributions to the contemporary music scene, and at the heart of their story is the rise and fall and re-emergence of Stuart Cable, the band’s original drummer, who was kicked out of the band in 2003, after their first run of success. 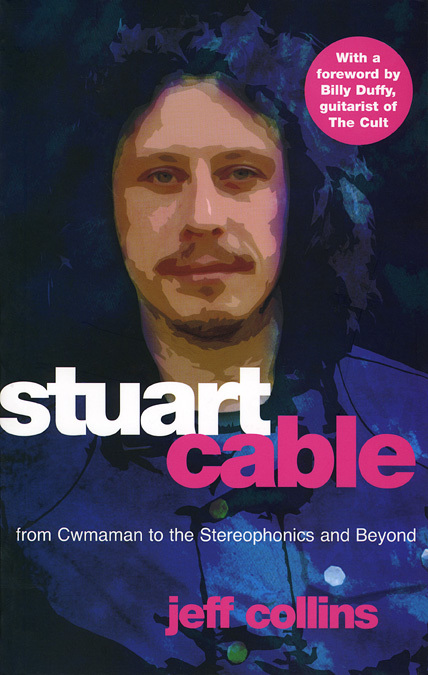 This book presents an insider’s account of Cable’s life in music, detailing his rise from an obscure Welsh mining village to drumming for sold-out shows at stadiums worldwide. Jeff Collins engages Cable in rich replays of the past and narrates the debut of Cable’s new band, Killing for Company, from backstage, then turns to music legend Roger Daltrey for thoughts on the difficulties of making it in the world of rock and the possibilities of Cable’s succeeding one last time. 3 I Name this Band Stereophonics! 12 Testing, Testing! Can You Hear Me?